[DK GreenRoots] Al Gore had a great point! Chris Hayes interviewed Al Gore last night on MSNBC. In the below diary, I posted the interview video and an article from the Guardian newspaper about ExxonMobil in which it "spent more than 20 years discrediting the research its own scientists had once confirmed." Al Gore had a great point! Today’s case gives us a lesson and a laugh. The lesson is that a court can be persuaded to prevent enterprising plaintiff lawyers from turning warning adequacy and the learned intermediary rule into not-so-funny jokes. The laugh comes from watching plaintiff lawyers invoke preemption [!] to keep frail claims alive. The case is Small v. Amgen, Inc., et al., Case No. 2:12-cv-476 (M.D. Florida Sept. 25, 2015). You can read the slip opinion here. The plaintiff claimed that Enbrel, which she was taking to treat her rheumatoid arthritis, eventually caused her to suffer from a diverticulitis infection. Before we get to the matters at hand in this opinion, we learn that the court had earlier dismissed claims for negligence per se and negligent failure to test or inspect. That’s a nice start. [These earlier decisions in the Small case were mentioned here and here.] Now the defendants moved for summary judgment on the remaining claims, arguing that they were barred by the learned intermediary doctrine. The Small case looks like it should be a big problem for the plaintiff, since the Enbrel package insert identified infections as a primary risk. The defendants also distributed an FDA-approved medication guide that warned patients of the risk of serious infection. Moreover, before starting her Enbrel treatment, the plaintiff was given a consent form that warned of “life-threatening infections.” The plaintiff attempted to vault past these inconvenient facts by pointing out that there were no warnings that Enbrel could cause “asymptomatic serious infections,” and that the defendants failed to school doctors and patients “on how to mitigate and manage the risks associates with the use of Enbrel.” None of that should matter, because the treating doctor was very knowledgeable and testified that any of this new information would not have changed her mind about prescribing Enbrel. Under the learned intermediary rule (Florida is not one of those screwy states that abrogated the learned intermediary rule or cobbled together a silly exception), the failure to warn claims should fail. The plaintiff also argued that the treating doctor could not be treated as a learned intermediary because the defendants’ pharmaceutical sales representative advised the doctor that it was safe to resume the plaintiff’s Enbrel treatment. Whatever the sales rep said apparently rendered the doctor unlearned. (It’s like watching a reality tv program, where the hour actually shaved points off your IQ.) But any representations made by the defendants’ sales representative were irrelevant if the treating doctor “had independent knowledge of the possibility that Enbrel could cause the injuries sustained” by the plaintiff – which was, in fact, the case. After preserving the sanctity of the learned intermediary rule, the Small court then smacked down the typical plaintiff maneuver of finding something-anything that wasn’t in the warning. Here, the plaintiff argued that even though the label clearly warned of serious infections, it was inadequate because it failed to provide guidance on resuming treatment with Enbrel after an infection. But as the court concluded, “[t]he problem with this theory is that manufacturers are only required to warn the prescribing physician of the possibility that the drug may cause the injury alleged by the plaintiff. There is no duty to provide guidance under Florida law.” That is a clear-eyed view of what constitutes an adequate warning. (We’ll even forgive that misplaced “only.”) Maybe plaintiff lawyers can always, like Oliver Twist, ask for more. But it does not mean they should get it. If the risk allegedly suffered by the plaintiff is identified in the label, warning adequacy is established. A court need not entertain a demand that the warning should be elaborated or embroidered. The reasoning of the Small case suits us right down to the ground. It is no small favor. So, we were preparing a post for today on Sparks v. Oxy-Health, LLC, et al, Case No. 5:13-cv-649-FL, slip op. (E.D.N.C. Sept. 15, 2015) – an opinion we pulled off a national news source. But, we just learned that the opinion was filed under seal and subject to a confidentiality order. Unlike mainstream reporters, as officers of the court, we are not going to violate a confidentiality order. The order calls for the parties to propose redactions to the court by today and we anticipate the decision will be unsealed shortly after that – at which time, we’ll bring you our full analysis. For now, all we can say is that it is a complete summary judgment win for defendants implicating several key legal concepts – such as off-label use, product misuse, failure to heed warnings, the “sham” affidavit rule, causation and foreseeability. There’s more, but we aren’t prepared to go into any greater detail at this time. Stay tuned. [Drug and Device Law] Section 510(k) Clearance: While it Doesn't Support Preemption, Is It Relevant Evidence at Trial? This post comes from the non-Reed Smith side of this blog. With some courts, the § 510(k) clearance of a medical device is not only insufficient to support preemption. It’s not probative enough to be discussed at trial. The MDL court in the Boston Scientific Pelvic Repair System Products Liability Litigation is one such court, consistently excluding from trial evidence of 510(k) clearance of the pelvic mesh device. According to a recent decision by one of the courts overseeing a trial on remand from the MDL, the MDL court read Medtronic v. Lohr to hold that § 510(k) clearance addresses only the device’s equivalence with an already marketed device, not safety. Winebarger v. Boston Scientific Corp., 2015 U.S. Dist. LEXIS 126616, at *13-14 (W.D.N.C. Sept. 22, 20150) (describing the basis for the MDL court’s decision). We’re not so convinced. The 510(k) process is not a complete abandonment of safety considerations. And it certainly provides evidence of whether the manufacturer behaved reasonably. Congress enacted the 510(k) process, in part, to enable quicker clearance for new devices that are equivalent to devices that have already been on the market and have accumulated some sort of safety and efficacy record. Moreover, the 510(k) process is an inescapable reality for device manufacturers. A discussion of the process, how it was followed, and the safety information that was provided or available through the marketing of equivalent devices is relevant to assessing the reasonableness of the manufacturer’s actions. If plaintiffs want to minimize its importance, establish that it says nothing about safety, or show what the manufacturer failed to do, they are free to present such evidence. The jury can then decide the relevance of this evidence. The fact that BSC followed the requisite 510(k) protocol – limited as it is – prior to marketing its Uphold device has minimal probative value regarding BSC's efforts to adhere to FDA processes and procedure generally. . . . Admissibility might depend upon a limiting instruction that 510(k) clearance is not to be considered as evidence that the FDA authorized the Uphold as safe and approved its intended use as such; that 510(k) clearance is not evidence that BSC satisfied any standard of care in designing the Uphold device. For these reasons, the Court's preliminary ruling on Plaintiff's motion is that the 510(k) clearance process is admissible subject to a limiting instruction consistent with the terms of the instant Order. In other words, the Boston Scientific will be able to present evidence that it followed the 510(k) process and received clearance to market the product. But the court may then instruct the jury that such clearance is not evidence of the manufacturer satisfying a standard of care. That presents a tricky decision for Boston Scientific. Should it present this evidence to the jury knowing that it will be met with this severe limiting instruction? It seems to us that this evidence is probative, even if not determinative, of whether Boston Scientific satisfied its standard of care. It’s certainly probative of whether Boston Scientific acted reasonably. North Carolina’s Product Liability Act makes that clear. It authorizes juries to consider whether a manufacturer met any governmental standard when determining the reasonableness of its actions. N.C. Gen. Stat. § 99B-6(a) & (b). Frankly, this seems like a decision that Boston Scientific should not be forced to make. If the plaintiffs want to undermine the significance of 510(k) clearance, they can do so by presenting their own evidence and experts, and by cross-examining Boston Scientific’s witnesses. It’s a whole other ballgame, though, for the court to interject and describe the evidence, telling the jury that it is not probative of whether Boston Scientific met its standard of care. That seems to verge on undermining the mandate of the statute, which leaves that determination to the jury. It will be interesting to see how this plays out at trial. [MMIT The Time To Write Your Sacred Story Is Now! Let's write our sacred story together! 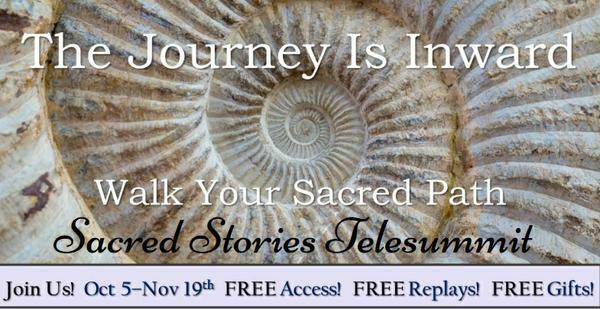 Please register, mark your calendars, and join me for a powerful and transformative series, Sacred Stories ~ Walk Your Sacred Path, hosted by Rev. Patricia Brooks. The series will start Monday, October 5th at 5:00 PM PDT / 6:00 PM MDT / 7:00 PM CDT/ 8:00 PM EDT / 1:00 AM (Oct 6) GMT and has an incredible line-up of world renowned spiritual thought leaders, who like me, will be sharing their own personal sacred story and heart opening information with you! Find out ~ How they Walk Their Sacred Path! What does their Journey Look Like? The shows are FREE and replays are FREE for the entire series, but you have to register to save your seat! I will be speaking on October 21, 2015, and sharing my work with "Discover How to Embrace YOUR Authentic Self!" I am also offering an incredible special offer package for Sacred Stories listeners… that is available right now! This series is an unparalleled opportunity to experience together the collective power of our shared experiences! Let's write our Sacred Story together! Powerful energy times are upon us all! Cosmic awakening energy gently stirs the pot, giving you space to evolve, expand and release the past, allowing you receive the magnificent new energies coming onto the planet now. Take time today to list out those old stories, thoughts, emotions or patterns and prepare to release them with the full moon energy tomorrow. With the sun in Libra, embrace your heart, seek balance, listen closely as you have a wonderful opportunity to expand your heart space. Use this time to go deep within and asking prompting questions of your inner self to support you in identifying what needs some attention, tender loving care and releasing. Full moons offer a time of integrating both of the signs energies, this month it's Aries and Libra. Both are "Cardinal" energies - utilized this energy to allow yourself to push past the voices in your head or the shoulda, coulda, woulda's. Take ACTION, move forward, embrace what is yours by Divine Right! Then, allow yourself to to just BE and simply LET GO. Allow your mind and heart a rest. Connect with nature, spend time bonding with Mother Earth. BE GRATEFUL - allow your heart to be filled!!! The Full Moon crests in the evening, Sunday (West Coast of USA). 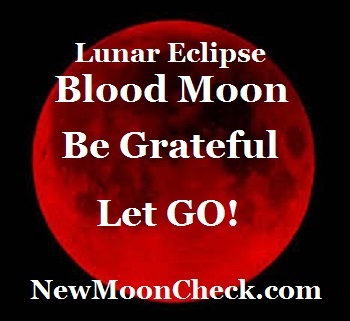 Release your new moon checks after 7:50 pm PDT / 10:50 pm EDT on Sunday September 27th. Release checks from Sunday Evening until Early Tue am or wait until the afternoon on Tuesday to start releasing again. Use the times listed to burn, tear up and flush down the toilet or shred to let go of the energy or any attachments you may have had to the outcome of what you were wanting. If you have access to a bon fire, fabulous! If not, you can use a candle, perhaps over the toilet so any ash is caught in the water. If burning is not an option, tear up the check with the intention you are fully giving this to the Universe, and flush. Or simple shred the check. It's really about letting it go, getting out of the HOW and allowing the Universe to Handle the Details! When we are so focused on what we want and are having perhaps a little stinking thinking, we can hink ourselves up on manifesting our hearts desires. For instance, we want more money, yet we speak and feel all the ways we don't have it in our lives. We may use phrases like "I can't afford it". YEEPS think about the energy of that statement! It creates a level of resistance to money. My invitation is for you to move into a place of Gratitude for all the money you do have (even if it is the change in your pocket) or for any money that comes to you. Even the penny you find on the ground, blessed and express Gratitude for it. It's not your fault, this is what we many of us were taught growing up. (Stinking Thinking) There is so much energy around the "M" word. Perhaps a new phrase could be, "not now", this has a completely different energy to it compared to I can't afford it. The super fabulous news is... YOU are a POWERFUL creator! You have the power to choose your thoughts! When you catch yourself thinking or saying something that is not in alignment with what you are wanting, CHANGE it... RE-FRAME the statement in a way that is in alignment to what you are wanting or at the least, changing the foot print of the old and creating space and possibility for the NEW! P.S. As we step into the season of Fall here in the Northern Hemisphere - take time to reflect and be present with yourself. Prepare for the time of moving back into the Womb of Divine Mother during the Winter months. BE Grateful for all in your life! * Void of Course moon is when the moon is between signs, in a void of energy, where the energy is still.